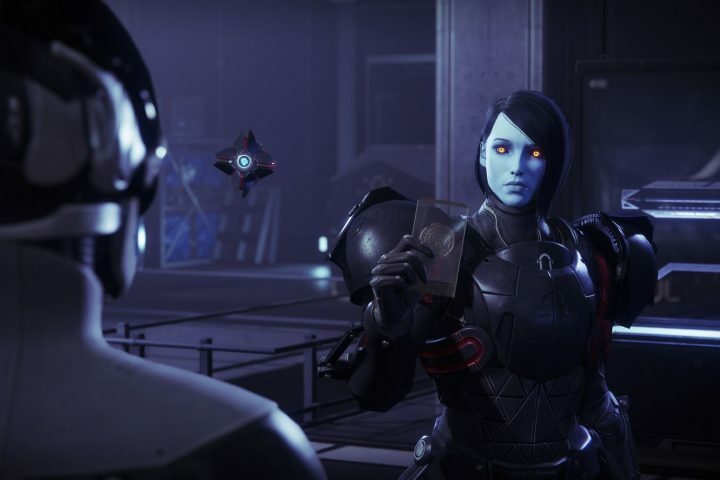 The first new content included in the Destiny 2 Season Pass system, ‘The Black Armory’ is a smaller content drop than Forsaken, including new Exotics, new activities, and a new Raid quest to complete. One of the new activities you can join with friends is the new Forge Ignition event. With a base requirement of PL 610+, you’ll want to start working overtime and earning a higher PL if you want to survive for long. And in true Destiny 2 fashion, you can’t just travel to these events in the EDZ (and elsewhere) and just start playing them. Nope, you’ll need to unlock them first. The Forge Ignition events are each tied to (most likely) Exotic Weapon quests, and by completing each Forge Ignition, you’ll be able to earn a different Exotic Weapon on each planet. There’s a different Forge (with a different Power Level requirement) on each planet, and we’re starting with the first Forge in the EDZ. To begin the Forge quest and unlock the special event in the EDZ, go to Spider in the Tangled Shore. Collect the ‘Black Armory Badge‘ from Spider to start the first quest step. Quest Step 1: Go to the Tower and enter the ‘Black Armory‘ area — a new section included in the Black Armory DLC. Talk to Ada-1 after the cutscene and collect the ‘Basic Machine Gun Frame‘ to start the second step. Quest Step 2: You’ll have two steps you need to complete. You need to farm Compound Ether and get a Weapon Core in the EDZ. Weapon Core Location: Go to the EDZ (Outskirts / Gulch) and wait for the special Black Armory boss event. When the bosses appear, shielded crates will also appear. Destroy the shield drone and loot the chest to get the Weapon Core. How To Get Compound Ether: To get the ‘Compound Ether’, you’ll need to farm Fallen in the EDZ. Get Fallen kills, and they’ll randomly drop Compound Ether. You need 25. The Trosslands is a good place to farm Fallen. Quest Step 3: Get another two quest steps. These are simpler — get 50 Power Weapon kills against Hive, and 15 Power Weapon multikills. Go to Mars and enter an Escalation Protocol to start killing Hive. You’ll also get a Sword Power Weapon for free during these events that you can use. Bring a Rocket Launcher or any other explosive for easy multikills. Quest Step 4: Very straightforward. Defeat 25 Powerful Enemies with Power Weapons. This one is very easy. Enter the Leviathan Raid solo and kill the first enemies with a Power Weapon. Just repeat and let the enemies respawn and you’ll get enough kills in no time. Quest Step 5: For this step, you need to collect 20 Radiant Seeds. Radiant Seeds are a random drop from Powerful Enemies. To farm 20, simply keep resetting the Leviathan Raid and killing the first group of six enemies. They’re all Powerful, so you can farm them endlessly. Quest Step 6: Return to Ada-1 in the Tower and collect the Radiant Machine Gun Frame. The quest isn’t over yet! To create the weapon, you need to complete the Volundr Forge Ignition event in the EDZ. At this point, you can finally take part in the Forge Ignition Event — the Volundr Forge is located in Smidur’s Cavern, in the EDZ. For the Volundr Forge, you’ll need a recommended Power Level of 610+. You can activate the Forge event in the underground — there is one forge on every planet, and this is just the start. By completing the forge, you’ll be able to unlock an Exotic Weapon.